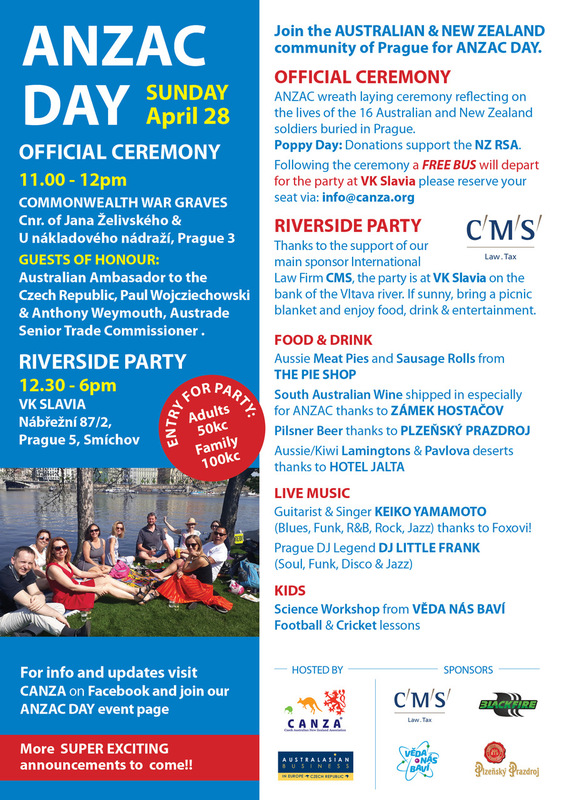 Welcome to CANZA – the Czech Australian New Zealand Association! Our mission is to promote the interests and cultures of Australia and New Zealand in the Czech Republic and give expats and locals alike the opportunity to experience the Australian and New Zealand way of life in the Czech Republic. Please register on our website to receive news of our forthcoming events and activities! ABIE, in association with CANZA, is delighted to invite you to our April, 'Meet the Ambassador' event. This will be followed by an open forum Q&A and discussion session. The evening will be accompanied by quality Australian and NZ wines, finger food, and ample networking opportunities - including the chance for face to face contact with the Ambassador and other members of the Australian and New Zealand business and expat communities. The event is being presented in association with Anglo-American University. Reserve your place by email to info@abiecz.org. 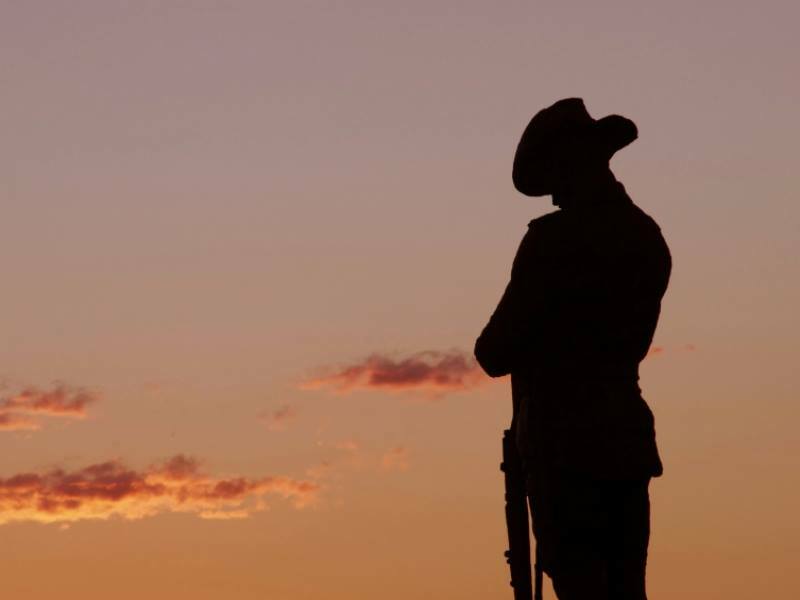 Join us at the Commonwealth War Graves in Olsany Cemetery at 11.00 on Sunday 28 April. The Ceremony takes about an hour and will be attended by the Australian Ambassador, H.E. Paul Wojciechowski as well as senior representatives from the Czech state. We would like to especially thank CMS for their very generous financial support of this year's event. The rowing club is a great venue and it is wonderful to be back there again this year, however, they do charge a very substantial venue rental and without CMS' financial support this year's event simply wouldn't have been possible! 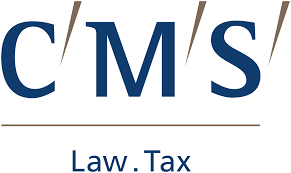 CMS was among the first foreign law firms to open in the Czech Republic. Building on more than 25 years of experience in the local market, they offer their clients extensive expertise and knowledge of the local legal and commercial landscape. They have a team of over 45 Czech and internationally qualified lawyers based in their Prague office. Whether you plan to conduct a transaction or conclude a commercial agreement under Czech or English law, they have the resources available ‘on the ground’ to staff it locally. 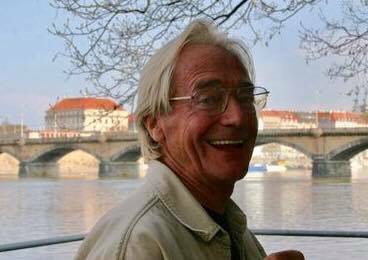 It is with the heaviest of hearts that we announce the passing of our friend and loyal CANZA member Len Edney early on Sunday morning. Len was one of the founders or CANZA way back in 2005. His tireless work for CANZA, his brilliant auction oration at the Ball and awesome BBQs at ANZAC Day will be missed but most of all we will miss him!! Len was Len right till the end as signified by a last catch up with Shane. who expertly smuggled beers into Motol which were shared together. Len's big wish was to make it to our Ball, Len, you know we'll party for you and make you proud! Deepest condolences to Kristyna Edney and Oli Edney, our thoughts are with you today. UK - New Zealand - Czech Republic - a life well lived! This new organisation, which will compliment CANZA, will be better resourced and will provide support and assistance to CANZA's existing activities. CANZA will continue to focus on social cultural and sporting aspects while ABiE will focus exclusively on business in a much more traditional 'Chamber of Commerce' model. 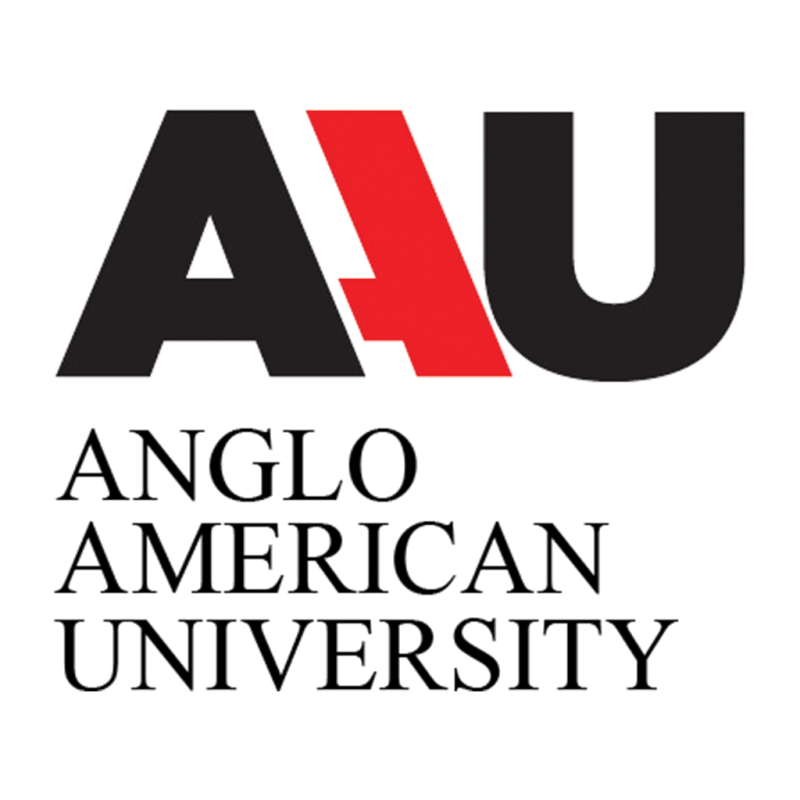 If you, or your company, are interested in business, check out the ABiE website where you can subscribe to the newsletter and get more information about membership. We are very pleased to announce a partnership with CNZBA (the Czech New Zealand Business Association). 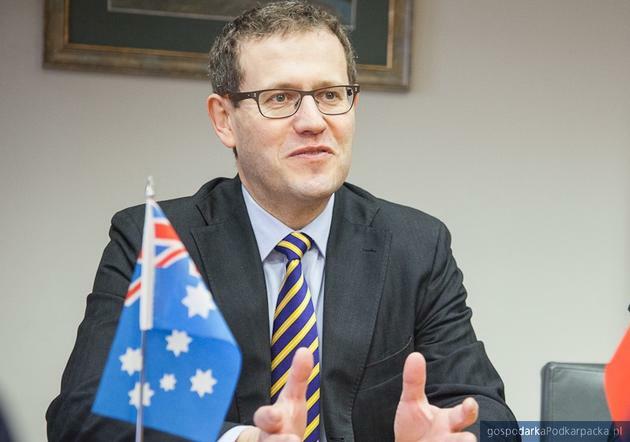 The CNZBA is dedicated to encouraging, promoting and supporting reciprocal trade, business and investment between New Zealand and the Czech Republic. Since its establishment in December 2012, CNZBA has become officially recognized as a bilateral platform helping New Zealand and Czech Republic businesses and business oriented individuals expand their mutual business relations. The CNZBA is a non-profit membership organisation fostering and protecting interests of its members and prospective members, who recruit from broad range of industries. Membership in the CZNBA is available to every company and individual involved or interested in undertaking trade, investment and/or any other form of legitimate business between New Zealand and the Czech Republic. The CNZBA works independently, but maintains very good relations with the Czech and New Zealand government delegations and their trade & investment departments. For more information visit www.cnzba.co.nz or Facebook. If you are a Czech business looking to expand into New Zealand (or Australia) or a NZ or Australian business that has recently arrived in town, please don't hesitate to contact us. 2) to help introduce local Czech people to the Australian and New Zealand pastime and our beloved sport, cricket. Czech Cricket has been steadily expanding since its formation in Prague in 2000. Czech Cricket coordinates and support local international and Czech State schools towards participation in the Czech Cricket Winter, Spring and Summer tournaments, which have been showing fantastic growth since their introduction in 2012. The expansion of these tournaments alongside the introduction of an additional team in the men’s game and a major facilities development overhaul project mean that 2014 is set to be a fantastic year for cricket in the Czech Republic. 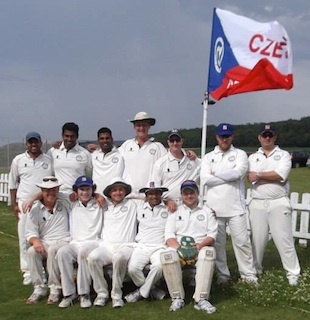 If you or any of your friends, colleagues or relatives are interested in learning more about cricket, please contact info@CzechCricket.cz or for upcoming events, please keep an eye on the Czech Cricket website here www.czechcricket.cz/. The Australian government trade, investment and education promotion agency - Australian Trade Commission (Austrade) - would like to offer an opportunity to register Service Providers interested in co-operation with Australian companies. To register, please complete this online form: http://www.austrade.gov.au/About-Austrade/Contact-us/Referrals-Database-Registration. The registration is open to companies offering Legal services; Interpreters / Translators; Consultancy companies; Accountancy companies; Providers of other services to companies. Once approved, the registered company will be listed in the database of potential services providers to Australian companies interested in doing business in Central Europe and/or those already operating in this region.